I’m excited to have a bounty of pickling cucumbers in my garden this season. I had such a huge batch the other day, that I decided to make homemade refrigerator pickles. After googling a few recipes, I found some basic instructions over at http://hipgirlshome.com/. Notes: Originally I used the quantities from the original recipe: 1 cup vinegar, 1 cup water, & 1 Tbsp salt, but when I poured into my larger jar, it wasn’t enough to fill, so I quickly made a second batch using half the ingredients, then poured into the jar separately. It seemed to work fine, but next time, I’ll use larger quantities right away. Keep in mind, if you are using a smaller jar, you might start off with the lower quantities. Slice the pickling cucumbers – I cut both ends off, but it’s very important to cut off the “blossom” end, because there is an enzyme that might cause your pickles to become extra-soft. The blossom-end is the opposite of the little stem-end. 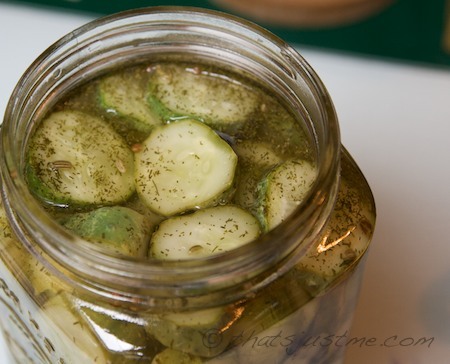 Fill a large glass jar with the sliced cukes, leaving a little head room. 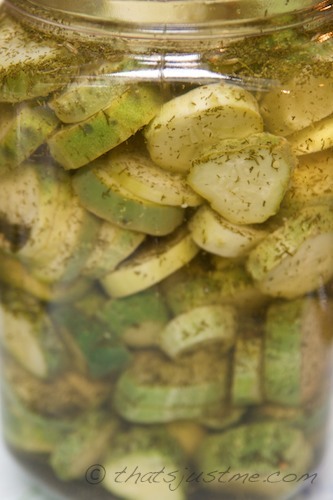 Using a mortar & pestle, crush the seeds with the dried dill, then sprinkle on top of the cucumbers in the jar. Add the sugar, salt, water and vinegars to a saucepan and bring just to a boil – the dill aroma took me back to my grandmother’s house, where she used to make homemade pickles too. Pour hot brine over the cukes and spices in the jar. Allow to cool, then cover & refrigerate. I didn’t tighten the jar lid completely, I read that there are gases that build up, and so it’s good to leave a little escape room for air. I did not have to wait a week like the original recipe suggested; my pickles were scrumptious after just a few hours: crunchy and spicy. In fact, they were gone within a week’s time! A really great bold flavor. I loved the kick from the mustard seeds! I was snacking on small cupfuls! Now, I’m pondering what to do with the leftover “used” pickle juice. I have a couple of ideas myself like finishing a recipe with a few splashes (I finish most of my soups & sauces with balsamic, so the pickle juice might also work well) or roasting with potatoes, onions, squash, etc. Make pickled beets or green beans or other vegetables. Make Pickle Rye Bread, this sounds yummy too! I was weeding the vegetable garden this morning, and it made me so happy to hear the sound of working bumble bees buzzing in my blossoms. A few whizzed by my ear, and it’s funny but it didn’t scare me or make me flinch. Oh how times have changed. I’m in the thick of it, working side by side with bugs! The weeding has been kept to a minimum because of the thick layer of grass clippings I added around the tomatoes and peppers. The cabbage is bouncing back. The critter(s) hasn’t been back, so I have only one that has been eaten to the stump. The rest seem to be doing well. My container cabbage is really thriving! No cabbage worms to speak of for awhile now. I hope that is normal, and they are not just hiding deep inside the cabbage heart ready to pop out when I cut into it after harvest! eeek! I only have one remaining brussels sprout plant in a container. It seems to be okay, but I’m not really an expert on what it’s supposed to look like at this stage. Let’s just say that the leaves are continuing to grow. My carrots, well, I don’t think they are going to make it, the greens are stubby and not full and lush like you might think. But I am leaving them in the ground just in case the critter comes back. I’d rather him eat the rest of the carrot leaves and leave the other veggies alone. I removed all the pea vines a week or so ago, and today, I pulled up what was left, along with the lettuce stubs. I hope to plant some more beets and some Chinese greens in mid-August for cooler harvesting. Yum. OMG, the tomatoes are out of control. I’ve harvested a lot of cherry and sun golds. Still waiting for my big ones to turn red. The ones in containers are doing okay, but they are mostly tall and skinny. Probably bolted?? The in-ground tomatoes are all over the place, branching out in all directions, definitely crowding my poor peppers. The carmen peppers are goners I think, but I do have hope for my jalapenos. 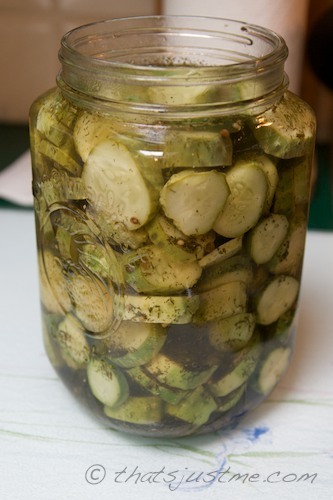 Pickling cucumbers are awesome. I already made a batch of homemade refrigerator pickles. Oh they were YUMMY! Eggplant is also excellent. We had some last night, sauteed with some green beans, scallions and cherry tomatoes. I don’t know that I’d plant eggplant again. Yes, it seems easy to grow, but after awhile, what do you do with all of it? haha. Even though the fruit is thin, long without much seeds, I’m realizing there isn’t a lot to do. I’m going to have to google some more recipes. I know I’ll probably be making some roasted veg pancakes using it. Oh and speaking of beets (earlier), the ones I’ve planted are good. Cute and small. Love the beets! I still have my two containers of butternut squash. There’s blossoms, but I don’t know if I see any female fruit blossoms. I think by now, there should have been some fruit, no? Oh well, next time I will plant in the ground or in a larger container. On the other hand, the watermelon seems to be doing super well! DH is very pleased. Both the watermelon in the ground and in the large recycling bin have lots of fruits, getting larger and larger. It’s exciting. We can’t wait for harvest! I think that is it for now. I still haven’t posted many photos. But I’m taking them regularly so I can see the progress, especially for next year. I’ve been so busy with my new job, that it’s been difficult to juggle everything I used to do now that I have less time. But I’ll eventually manage. DH has been a big help! This week, I spent $62.04, with a monthly total of $379.97. That leaves $20.03 for the rest of July. Yikes, I hope I’ll make it this month. It’s going to be tough, but I might give myself an extra few bucks to get by if I need it. I will try to stay within my $400 budget though. The thing that seems to be slightly throwing me off is the meat CSA. I have a stockpile of meat in the freezer so I’ve been trying to use it; I don’t think my choices would necessarily be the choices I’d make if I didn’t have all this meat to consume! Lesson learned! We don’t consume enough meat to warrant a meat CSA again! We’ll do things differently next winter. I will probably place one or two large orders and drive to the farm myself for pickup, instead of them delivering every month for 6 months. Whole Foods $13.87 (inc credit $11.82 refund): fresh ground peanut butter (sale! DH has been bugging me for peanut butter muffins), bulk sucanat sugar, bulk organic rolled oats, canned organic diced tomatoes, organic low sodium chicken broth, Grafton 2 year cheese, organic bananas, (2) limes, organic plums (sale), and local (CT) eco peaches. Wednesday: Bread pizza with salsa & feta – my ole standby meal when the budgeting gets tough! Happy anniversary to me! Life is good! This week, I spent $87.92, with a monthly total of $317.93. That leaves $82.07 for the rest of July. Amazon Subscribe & Save $5.45: 6 pk Wild Planet tuna – had account credit of $7.25 – good deal! Unfortunately, there is a critter(s) that’s eating some of my leaves. The planted brussels sprouts plants are gone. I plucked one out of the ground a few days ago, and the other one is also now down to the nub as well. The cabbage right next to it is also being eaten, but I’m leaving that, hopefully it’ll keep eating that and leave the other cabbages alone. We’ll see. My carrot tops are also being eaten. They were lush and tall the other day, and they’re a bit shorter when I looked this morning. The lettuce I was saving is pretty much gone too. Oh well. I’ll be pulling the pea vines out of the ground maybe today or later in the week. They have given all they can give. I think it might have been a bit too warm for them this season, I didn’t yield as much as I hoped. I know I’ll plant earlier next season, and maybe that will help. Hmm, what else? Eggplant is getting taller and bushier. Lots of blossoms, but no sign of any fruit yet. The butternut in the container by the garden is blossoming. I don’t think I see any “female” though, so I’ll keep an eye on that. Our Sugar Baby watermelon, on the other hand is thriving! The plant in the ground has finally taken off, and there are a couple of little watermelon babies. The one in the recycling bin has a lot of fruit, some getting quite large! We moved the container to the middle part of the yard so it’ll get more sun. I’ll have to google if it’s okay to have so much fruit, or if some should be pruned to make it easier for the stronger ones to flourish. I did notice some blotchy holes on a couple of fruits. And back to the tomatoes, wow! The ones in containers are a bit leggy, but still bearing fruit. But the ones planted are thriving beyond belief. Bushy branches taking off in every direction! I’m hoping that is a good thing! They seem very healthy! I keep having to re-stake! Pickling cucumbers are doing very well. I’ve picked a bounty of cukes already, with hopefully more to come well into August! My peppers, eh, I don’t have high expectations for most of them. There have been some blossoms on the jalepenoes, but unfortunately some are so close to the tomatoes, that they are getting shaded by the low flowing branches. I’ll have to rethink some staking. The bell peppers in containers have shown some blossoms, but I don’t know if they are able to go forward into fruit. I might skip peppers next season, and just stick to the farm stands and farmers market, where they are plentiful! When I started my garden I had recently become unemployed, but thankfully, I did find a new job, but that means my time in the garden has been cut back considerably. I’m a little behind on weeding, but it still seems to be thriving. I’ve been adding grass clippings and that helps. So, that is my update! I’ll add some photos later. Author debbie @ That's Just MePosted on July 15, 2012 Categories FoodTags brussels sprouts, butternut squash, carrots, cherry 100 tomatoes, eggplant, gardening, jalapeno peppers, lettuce, peas, peppers, pickling cucumbers, red cabbage, sun gold tomatoes, tomatoes, vegetables, watermelonLeave a comment on Gardening Diary: Tomatoes! This week, I spent $110.57, with a monthly total of $230.01. That leaves $169.99 for the rest of July. Geez, by the 8th day of the month, I blasted through a huge chunk of my monthly allotment! I am hoping I can stick to a $55 weekly sum for the next 3 weeks, but I will not be too upset if I have a little budgeting overage this month! Lots of produce and a couple of splurges this week: a turkey pie and olives! I saw two awesomely interesting things today in the garden. First I saw a small-sort-of-dragonfly-ish bug with some sort of white stuff under it. Initially I thought he was caught in something, so I touched it with my scissors and he flew off. He landed on another tomato stake and I got a closer look. Then I thought, is he eating that white butterfly? Or is he mating with it? LOL. You know how it’s so difficult to really tell! hahaa. Anyway, I watched as the white butterfly got smaller and smaller, yep he was eating it. It was truly fascinating. I wished I had my camera with me! Then just as I was nearing the end of my garden weeding, I noticed a group of ants dragging a green worm. It looked like they were stinging him, and he was violently thrashing as they carried him into their ant hole. It was like something you’d see in a horror movie, but again, quite fascinating! 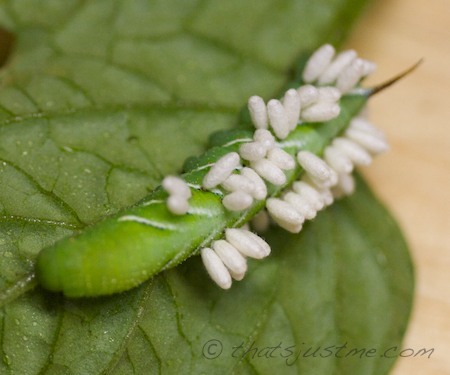 It’s funny, two of the pests I dislike (white butterflies & green worms) were being taken out by other garden bugs! I love nature! Life is good! I am glad that I decided against using BT on the cabbage. No, my cabbage plants are not perfect, but I’ve been trying to keep up with picking off the green worms/eggs, and it seems to be working. In fact, the worm quantity has been reduced drastically. I wonder if that is normal as it gets warmer? I’m still a bit leery; I keep having visions of cutting into a cabbage, and there’s green worms deep inside. Yuck. I don’t know if they eat from the outside in, or the inside out. PS. This morning, I picked a bounty of pickling cucumbers and peas; I also picked enough oregano to share with a neighbor. I can’t wait until our tomatoes are RED!!! This week, I’ve spent $119.44, leaving $280.56 for the rest of July. A few staple items this week, like olive oil and butter, and even though I have a freezer full of CSA meat, I splurged on sale chicken drumsticks @.99lb at Whole Foods, and a small tub of US-grown unsalted roasted cashews, which we haven’t had in the house for MONTHS! I had three Applegate Farms $1 coupons that were set to expire, and Market Basket was having a sale, so I splurged on turkey bacon, deli slices, and hot dogs. Summer is here!!!!! Whole Foods $46.83: (4lb) Chicken drumsticks, peanuts, cashews, raisins, rolled oats, dried shredded coconut, canned diced tomatoes, organic valley cultured butter (coupons), organic valley half & half (coupon), carton of organic egg whites, organic pineapple, watermelon, & organic cherries…also returned the SAF Instant yeast.